A lot of my ‘reviews’ focus quite a bit on costumes, so I thought I would start writing about some of my favourite costume designers. For one, it will give me something different to write about. For another thing, it will make me actually research some costume designers. I can only think of a few off the top of my head – Eiko Ishioka, Colleen Atwood, Edith Head – and as someone who has an appreciation for costumes, it’s about time I start to look at the people designing them, more often. As it was an idea I had while watching Immortals (don’t ask how many times I’ve seen that movie), I decided to start with the late Eiko Ishioka, who designed the costumes for that film (arguably the most impressive aspect). 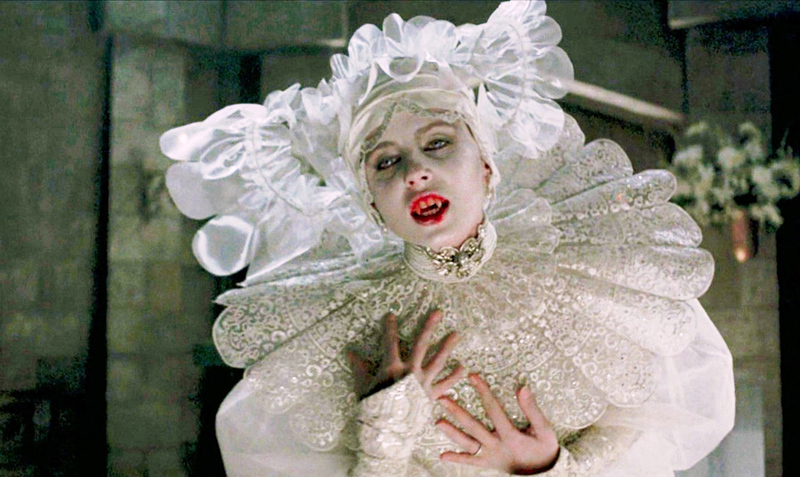 She also designed the costumes for one of my favourite movies, Bram Stoker’s Dracula, for which she won an Oscar. I’ve mostly focussed on these two films, as well as Mirror Mirror: The Untold Adventures of Snow White, as I’ve shamefully yet to see any others. 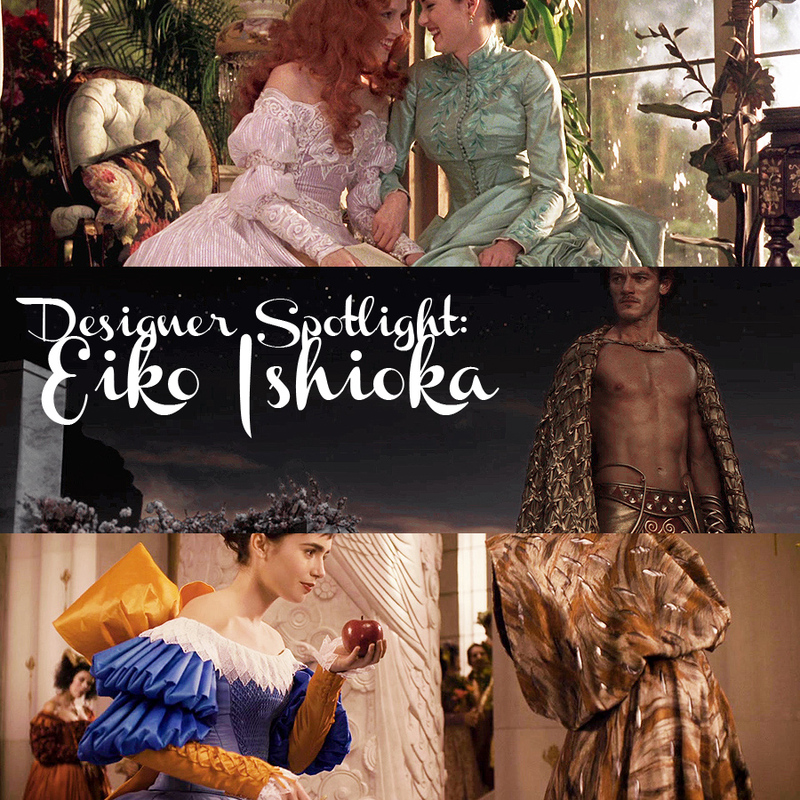 Eiko Ishioka was born in Tokyo in 1938. Before costume design, she previously worked in advertising and then in production design, when she worked with Paul Schrader for Mishima: A Life in Four Chapters. But it is her surreal, over the top costumes for which I best know her. Of course I had to start with this dress from Dracula. It’s so iconic! I remember reading something where Ishioka mentioned she was influenced by frilled neck lizards, which I just love. (Note: I think it was in the video I’ve posted below). As a part-time cosplayer this is on my ultimate dream costume wishlist. Lucy and Mina make a stunning pair. Their costumes reflect the differences between these two friends – Lucy is often seen with her hair down and in flowing gowns, her shoulders exposed, even before she starts transforming, while Mina is more reserved and modest by contrast with high necks, rows of buttons and carefully coiffed hair.